In fact the terrace in the Royal Borough of Kensington and Chelsea in London has just been named the most expensive street in Britain. The average price of a house there is more than £8million – with one four-bedroom family home recently selling for a massive £12million. That’s more than 74 times the price of the average home in the UK, which currently sells for just £160,879. 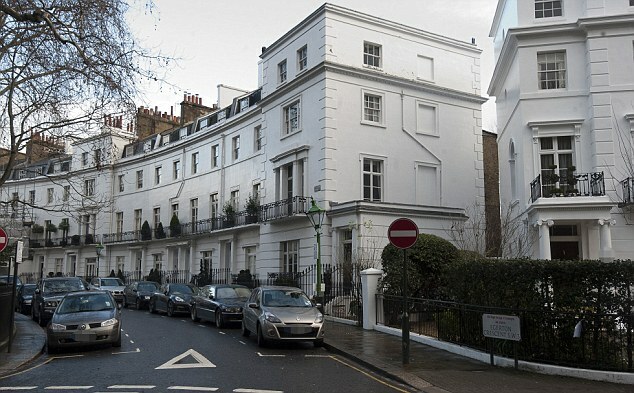 A typical house on Egerton Crescent would cost £8,136,000 to buy, according to a report by Lloyds TSB. 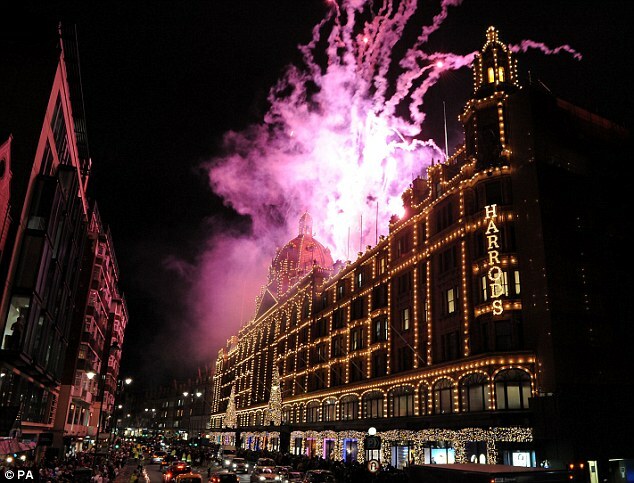 Apart from the cachet of living among the super-rich, residents can enjoy being just a stone’s throw away from the Victoria and Albert Museum and the shops of Knightsbridge. 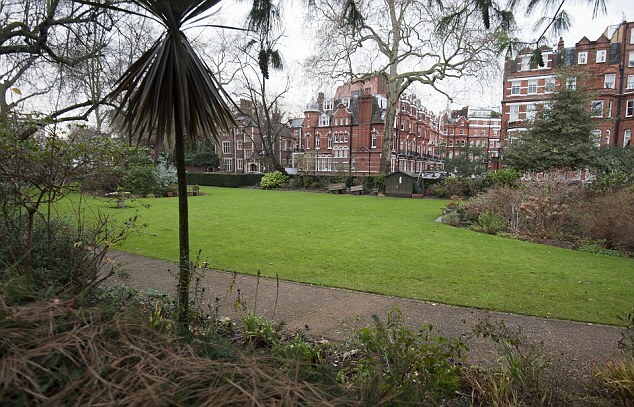 Decent-sized gardens are a luxury Egerton Crescent home-owners can’t enjoy though. Fortunately, if they want to sample the great outdoors, there is a communal garden and Hyde Park is not far away. The prices on the road have rocketed over the past decade – one five-bedroom house sold for just £430,000 in 1998, before making £5,130,000 in 2006 and £10,500,000 in 2011. According to the Lloyds TSB report, the most expensive streets outside the capital are in Surrey, Hertfordshire and Kent where average prices top £3million. The North West is home to the most expensive streets outside southern England – with areas south of Manchester, favoured by Premiership footballers, among the most sought-after. The report, coming at a time of hardship for millions of families, underlines the extent of the extraordinary wealth gap in Britain. Nitesh Patel, an economist at Lloyds TSB, said: ‘Kensington and Chelsea has some of the most expensive streets in England and Wales. The Royal Borough has been a highly fashionable area to live in for many decades. 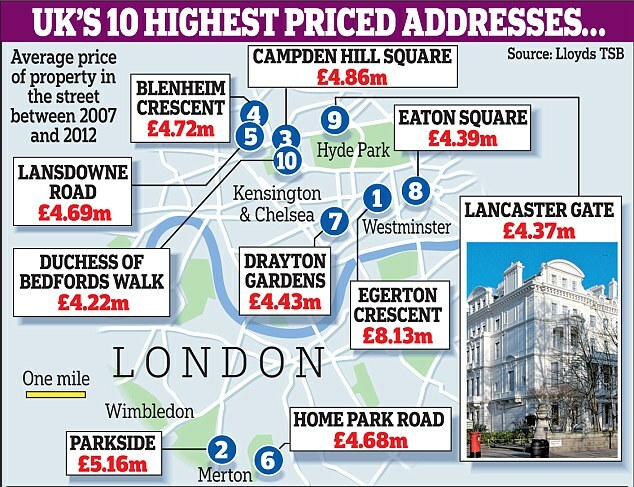 The 20 most expensive streets in the country are all in London, according to the report. The nation’s second most valuable address is Parkside in Merton, close to the All England Club in SW19 which hosts the Wimbledon tennis championships. 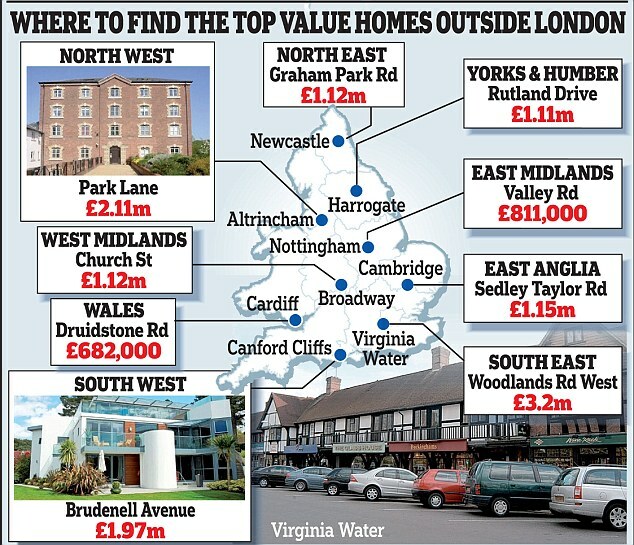 The average home there is worth £5,161,000. 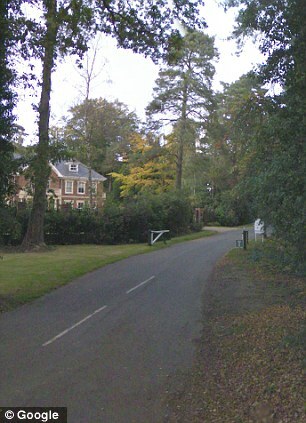 Away from London, the most expensive street is Woodlands Road West in Virginia Water, Surrey, where the typical home costs £3,201,000. There are also a number of exclusive addresses in the North, including Park Lane in Trafford, Greater Manchester, where the average house is worth £2,109,000. 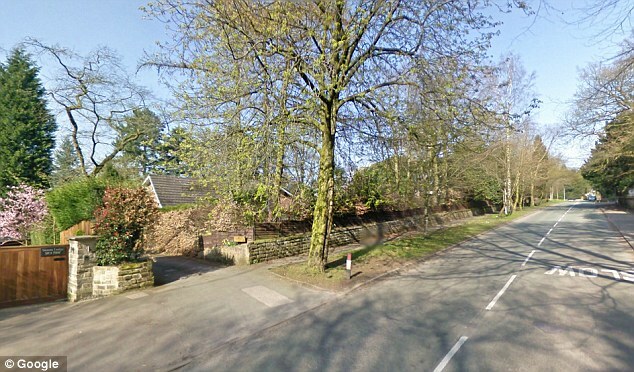 Eight of the ten most expensive streets in the North West are in areas south of Manchester such as Macclesfield Road in Alderley Edge, Cheshire, where a typical house costs £1,290,000. Despite the depressed prices in the rest of the country, the property market in the smartest areas of London shows no sign of slowing down. Estate agents Knight Frank reckon that ‘prime’ central London property prices have soared 50 per cent since the depths of the recession in March 2009. The main buyers have included the super-rich from Russia, India, France and Italy. The average house price in Britain peaked at nearly £200,000 in August 2007 before the boom turned to bust. 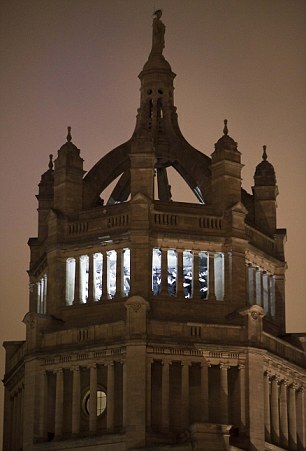 They plunged to £155,000 in 2009 as the financial crisis raged. It may be the most expensive street in Britain, but it’s not home to many Britons. 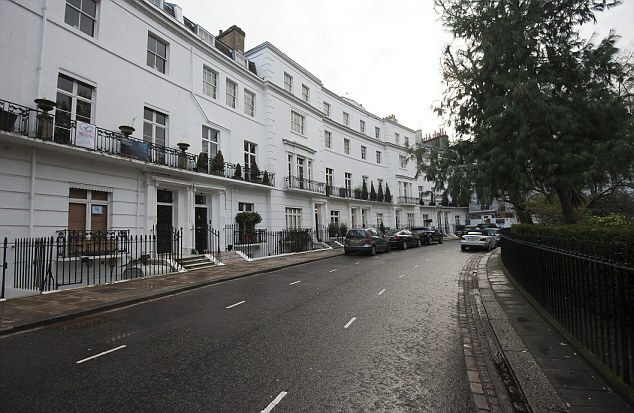 Residents of Egerton Crescent include a former Italian motorbike racer, the general manager of a Syrian bank and a Middle Eastern oil trader. Other neighbours include the former managing director of a Dutch bank, a Scandinavian shipping family and the Italian president of the Valentino fashion house. These are the fortunate few who can afford to live in Britain’s most expensive street – where the average cost of a terrace is £8million. Situated a short walk away from the Victoria and Albert Museum on Exhibition Row and Harrods in Knightsbridge, it is a street of opulence and grandeur, where the shameless display of wealth is everywhere. 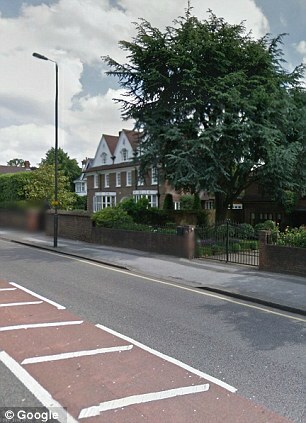 One house, with four bedrooms and three bathrooms, sold for a cool £12million in April. The moon-shaped terrace is lined with grade II-listed buildings and luxury cars while the tiny front gardens are meticulously maintained. Dating back to the 1840s, the Regency-style buildings house collections of antique furniture and enormous paintings. Oliver Zapata, 47, a Filipino driver for a Swiss businessman who lives in the road, said: ‘A lot of tourists come to the area just to look at this road. The Crescent is really unique because of its shape and the beauty of the buildings. They really are very pretty.‘The houses are very opulent inside. Everyone who lives down here is filthy rich. A lot of them have antique furniture inside and the back gardens are a good size for this area. 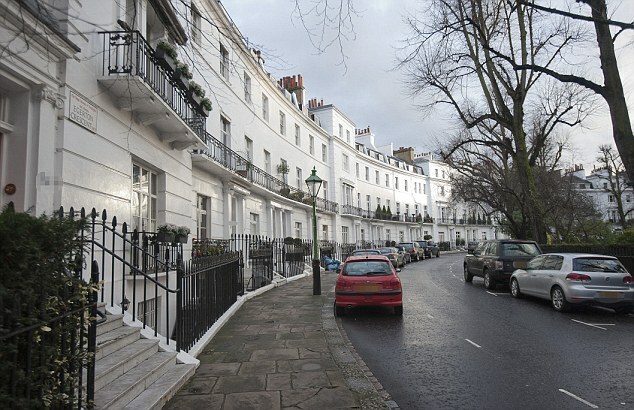 Egerton Crescent was named after the Honourable Lord Francis Egerton, son of the first Earl of Ellesmere. 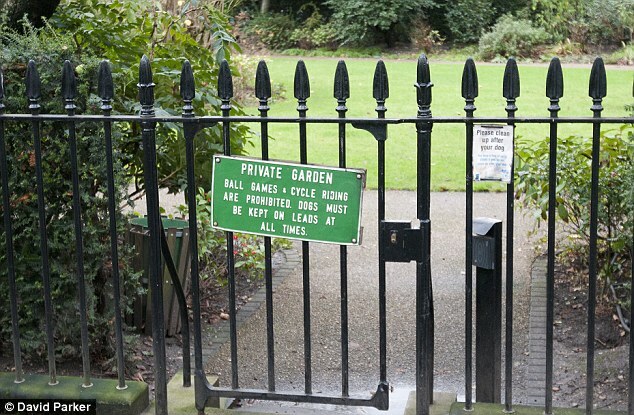 In the centre of the Crescent, a private residents’ garden sits with a heavily-bolted gate and signs warning the public to stay away. Each of the five-storey houses are painted immaculately white, with clipped trees on their balconies and orchids in their window boxes. 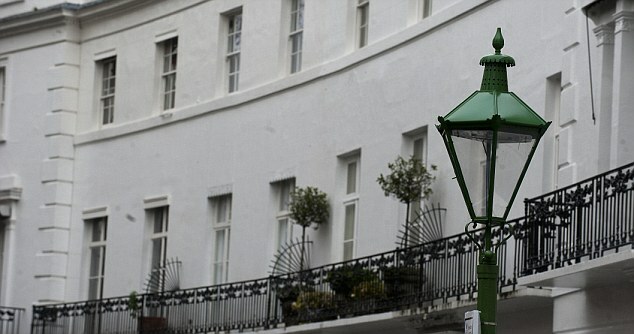 And in the place of the usual garish orange street lights are charming old-fashioned lanterns lining the street. Many of the five-storey houses are managed by caretakers, with the occupants only staying for part of the year when they are in town on business. Not surprisingly, very few answer their doors, and most homes are protected by an intercom accompanied by one – or several – cameras. And not content with the size of their homes, many are extending them even further – with one basement conversion currently in progress and two conservatories already completed.